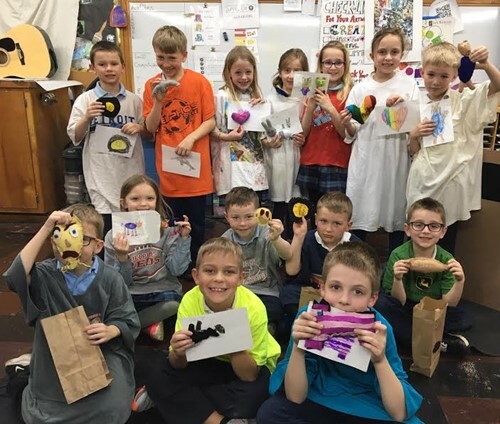 Students in 7th grade took drawings made by 1st-grade students and sewed toy's for them in Art Class. The 7th graders met with their 1st-grade student and gave them their toy that the 1st grader designed. Students then spent the class period drawing together. The 1st-grade students even got to put on a puppet show with their new toys. At the end of the class period, the 1st graders said good-bye to their new friends .